The next chance to come take a look at Ergon Guitars will happen the coming November 18th and 19th, at the 2017 edition of the SHG Musicshow Milano. The event will happen at the Milano Congressi in Milan, Italy. 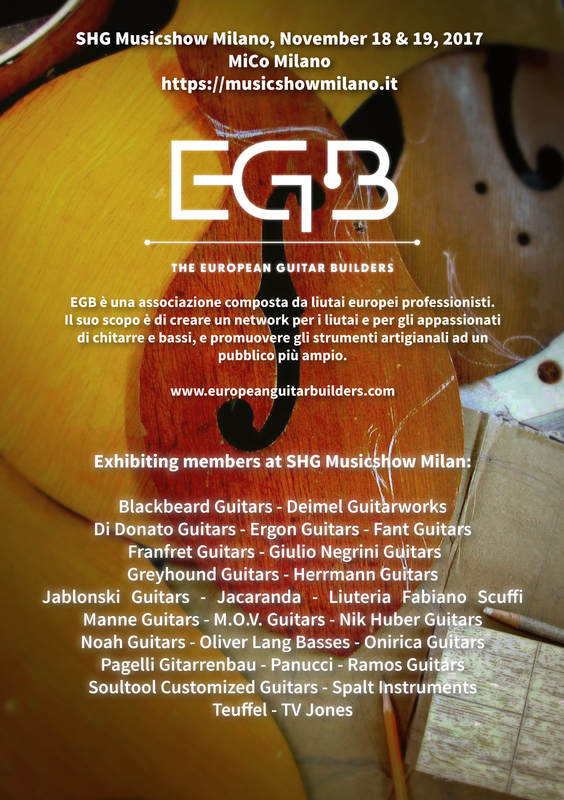 We will share the exhibition wil other EGB community members, so we invite you to come over and have a look and play at some of the finest instruments crafted in Europe. For more information regarding the event, please visit the dedicated site.